What’s the secret to retaining fickle internet TV audiences? This article was originally published in Rapid TV News. 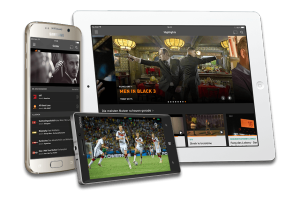 Developing an incredible OTT TV app that meets your business needs and also creates a real buzz with consumers can prove tricky. Doing this across 10 plus platforms (like AppleTV, Amazon Fire, Roku, connected TVs etc.) sounds impossible. But it can actually be done, if planned and executed correctly. Here are some of the lessons we learned when doing this. Building apps for such a fragmented market requires vision, a well thought-out development plan, and relatively deep pockets. But get the app development right and, provided you have great content too, the positive results will speak for themselves. Creating TV apps is really expensive so combining multiple business models – transactions, subscriptions, advertising, and freemium – to provide flexibility and maximize revenues is critical. 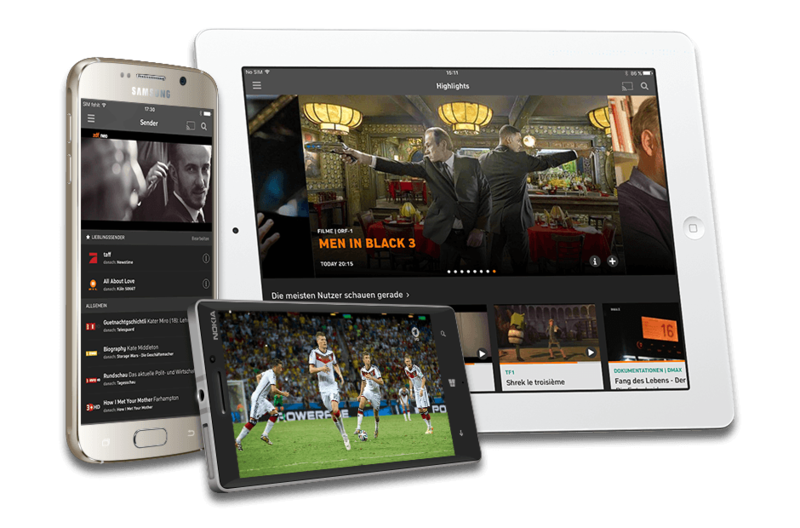 Plus adding dynamic ad insertion, VOD and cloud DVR functionality can further increase revenue potential. Much like in the print magazine world, where consumers used to subscribe to more than one magazine to reflect their multiple interests and hobbies, most people will eventually subscribe to more than one OTT service too. But for this to happen subscription prices need to be squeezed. In this scenario, having a TV app that supports multiple business models – and makes upselling and cross-selling as friction-free as possible – is the only way to realize revenues and profits. All of this requires a very strong backend system that offers all of the API calls needed to manage the various business rules. In addition, the same platform must be very smart so it is able to distinguish between devices. With the massive fragmentation in the market, different devices require different technologies to perform the same task. For example, the backend will need to support at least three different DRM standards to deliver encrypted content to all devices; the same backend will likely need to support two or three streaming technologies; and the same complexity exists for tracking analytics and running ads. Therefore, you will need a backend that is like a toolbox and can use different technologies in different scenarios. The smartest thing to do is to use what works in the largest number of environments. Start with web development and build outwards from there. Each TV platform has its own design guidelines. Take the guidelines and focus on creating one great design that works across the overlapping 80%. Invest the time you have saved by creating only one design into making that one design fabulous. And don’t be afraid to divert from the design guidelines a little to make your design stand out from the rest. The approach above is great for connected TVs, Android STBs and Amazon Fire device. For iOS and Roku, you can develop quickly by relying on their templates. Once you have launched on all devices, you can go back and build customized apps for iOS and Roku which will match the look and feel of your web-based apps. There are two ways to launch. Approach one: launch wide but lean. Develop lightly for as many platforms as possible as quickly as possible. The key is to learn quickly—from your growing experience with the platforms, from usage analytics, and from user responses. Then iterate just as quickly. Invest heavily where initial results show promise and reinforce there. As you gather data, you base later-stage strategy on results. Don’t spend too much money in places where it might not be spent effectively. Approach two: do a Netflix and go all out to cover all platforms from day one. The fact that this is still a relatively immature market means that there’s still market share up for grabs. If you can move faster and stronger than the competition, you can own it. The downside is that this requires immense resources up front, to create tailored apps as well as compelling content. It’s a bigger gamble, but with a commensurately larger potential reward. Creating a true cross-device experience is hard unless, of course, you have an army of developers at your disposal. But as platforms like AppleTV, Roku, Amazon and connected TVs become more developer friendly, smaller teams can build such experiences. Since the fragmentation in the video space is here to stay, this endeavor is worth the effort.